How many companies do you know that have an exit interview or a survey process and rarely execute it? What motivates an employee to leave will vary according to who is asked. Digging deep to unpack reasons, gaining an understanding of unspoken rules and capturing wisdom walking out the door is critical to demonstrate a genuine commitment to enriching the lives of your people. On the flip side, run a focus group on why people stay — what drives them, what inspires them and how do they keep themselves engaged in the workplace. Capture employee loyalty in real time. The annual list of Achievers 50 Most Engaged Workplaces is a great place to discover what other companies are doing to build employee loyalty. You’ll find companies dedicated to improving their culture by investing in the leadership teams and fostering an environment where people work hard, care about each other, innovate and have fun. By constantly seeking progress and moving toward an environment that nurtures people and business, employee loyalty increases, and business success is boosted. What differentiators does your organization tout when trying to recruit or retain top talent — a low-cost health care benefit, a matching 401(k) plan, unlimited time off? What about your wellness program? Wellness programs can transcend your organization, delivering a message to both potential job candidates and current employees that your organization is an attractive place to work. In fact, a well-designed wellness program can be the difference between signing an employee or sending them in the direction of a competitor — or losing an integral member of your team to another company. The quest to attract talent is at an all-time high. With unemployment rates hovering below 4%, the competition is tough and employers are finding they need to get creative to hire the best of the best. Similarly, smart employers realize that hiring great employees is not the only way to win the talent war. With the average employee tenure at four to five years, retaining top talent can be as difficult, and as important, as finding it. For industries most affected by the current shortage — high-tech, information technology, software, life sciences, financial advisement and banking — this is especially true. So, what are employees looking for when it comes to employment? Salary is certainly a driver for employees, but many of today’s workers aren’t motivated solely by money. They want flexibility, a good corporate culture, a job with a purpose and great benefits. With so many factors in play, how can you differentiate your organization in a tight job market? Innovative employers are reexamining their culture and their benefits packages and making changes to attract top candidates and retain key employees. 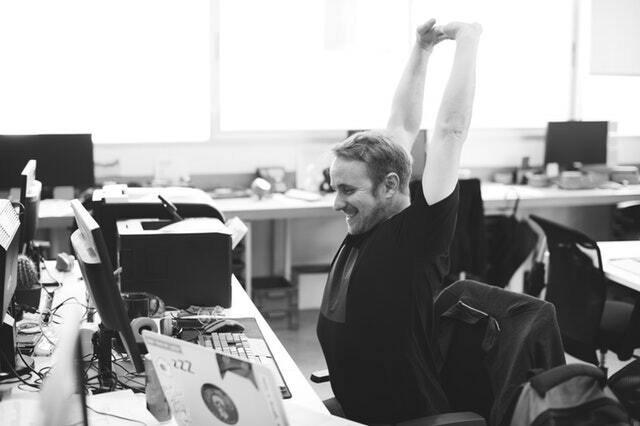 Offering a robust, creative benefits package can provide a competitive advantage in the war for talent, and while there are many components that make a package enticing, a comprehensive wellness program is a big differentiator for many organizations. As a wellness program provider, I know that when wellness is woven into the foundation of an organization’s culture, employees feel that their well-being is important to their employer and they become more productive and engaged. Employees who are more engaged make a personal investment in their employer and are less likely to leave for another position. • 87% of employees (registration required) consider health and wellness packages when choosing an employer. • 67% of employees (registration required) who work for organizations with wellness programs like their jobs more and this same percentage is extremely or very likely to recommend their employer to others. • Nearly 54% of Gen Zers and 58% of millennials consider company wellness programs important or extremely important when making a job decision. • 45% of employees working at small to medium-size companies would stay at their jobs longer because of their employers’ wellness programs. Despite these findings, only 40% of employers (registration required) prioritize their wellness initiatives within their overall benefits strategy and only 25% of organizations leverage their benefits programs to recruit employees. Now is the perfect time to consider how a well-being program can help your organization attract and retain top talent. Starting an employee wellness program does not need to be overwhelming. A few simple steps will get you on the right path. Survey your employees to find out what types of programs they are interested in. You don’t want to roll out initiatives that your employees won’t engage in. Review health claim utilization or implement biometric screenings so you know which medical conditions are affecting your employee population. Online personal health assessments or surveys can also provide a baseline assessment of what your employees are doing well and where they can improve. If you have a budget for wellness, look to a wellness vendor to provide guidance, strategy and implementation. An external partner can also go a long way in demonstrating to your employees that their data is safe and secure and that human resources and senior managers are at an arm’s length from their personal information. If budget is a factor, find the resources within, such as your employee assistance program (EAP), health care provider and cafeteria personnel and work to piece together some programs for you. For another layer, requiring a bit more work, you can contact local businesses or professionals (yoga instructors, massage therapists, fitness centers, etc,) and national health organizations (American Heart Association, American Diabetes Association and the National Cancer Institute) for materials and possible on-site visits for a health fair or lecture. You can also take steps such as instituting walking meetings, posting signs encouraging employees to take the stairs, replacing unhealthy vending machine snacks and soda with water coolers and fresh fruit, or introducing an eight-week wellness challenge. Track participation rates and healthy behavior changes and make a business case for bringing in additional resources or developing a comprehensive wellness program. To improve your recruiting and retention efforts, make your wellness program part of your brand and promote your company culture to both job candidates and employees. Dedicate resources to promoting your wellness program both internally and externally. Use your intranet and/or internal e-newsletter to feature programs and employee success stories. Use social media, community events and public relations opportunities to get the message out about your program and culture of well-being. See my previous article “Win With Wellness: A Great Culture Helps Bring Clients To Your Door” for tips and strategies to develop and promote a culture of wellness. ngagement is personal. Business and HR leaders might develop their talent policies and strategies by looking at the workforce as a whole, but engaging employees is accomplished one person at a time. 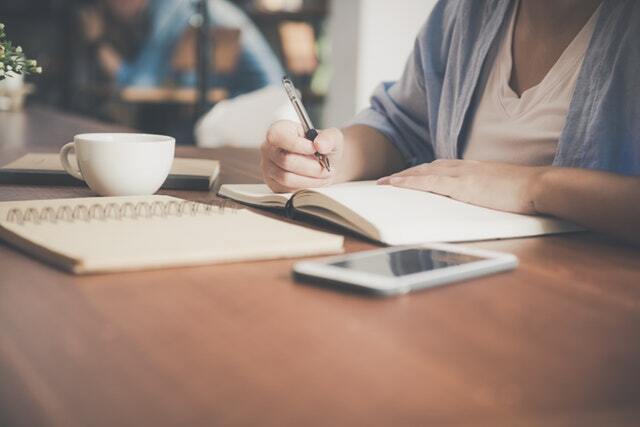 HR professionals say these small gestures, which can be as simple as buying coffee or remembering an anniversary, carry special weight when they’re made by executives in the C-suite, especially the CEO. And while many company leaders understand that engagement and retention go hand-in-hand, they’re not accustomed to thinking about the nuts and bolts of engaging employees, and they probably haven’t considered the impact they can make by taking relatively simple actions. Here are some examples of how CEOs and HR have worked together to strengthen employee engagement, without having to invest significant amounts of money or time. Every month, PetroChoice CEO Celeste Mastin sends individual, personally signed anniversary cards to mark the date an employee joined the business. Although the idea came from HR, both Mastin and the company’s previous CEO embraced it as a way to increase the “touch” between employees and management. To complement Mastin’s effort, Acevedo sends each employee a birthday card, along with a $5 Dunkin’ Donuts gift card. From HR’s point of view, the result has been “pure appreciation,” Acevedo said. Employees regularly send e-mails thanking the CEO for the cards and gift cards. At Likeable Media, a 50-person digital marketing agency in New York, CEO Carrie Kerpen demonstrates that engagement is a priority by regularly taking employees for coffee “as a way to get them out of the office and learn about the organization,” according to Director of Talent and Culture Brian Murray. “These conversations have been invaluable for learning about the challenges we have and are often the first step in addressing them,” Murray said. Kerpen wants to invest in her team and wants the team to feel invested in her, Murray explained. Recently, she began inviting small groups of employees, from all levels of the company, to parties at her home. The informal conversations that take place over dinner, Murray said, have given Kerpen deeper insight into the business and helped her understand what needs to be done to continue its forward momentum. To maximize CEOs’ effectiveness, Murray suggests HR “prep them and explain the weight of their words.” At times, he has coached Kerpen on listening “to make sure she hears all that [the employees] say.” Kerpen has become adept at noticing when the staff doesn’t recognize a point she’s making or a long-term goal she’s trying to describe. When that happens, “she knows she needs to change her approach,” Murray said. Every Friday morning, the 92 employees of Newtown, Pa.-based Blue Rock Construction receive a weekly newsletter containing project updates, welcomes to new workers and notes on work anniversaries, weddings, birthdays, babies, fundraisers and other events that occurred during the week or will take place in the following days. The newsletter, “News & Notes,” was the brainchild of company president Steve Kettelberger, said HR manager Nicole DeFazio Cataldi. As Blue Rock grew, Cataldi said, Kettelberger decided the company needed a way to “keep everyone in the loop” across its four offices and multiple job sites. “It was important for him that everyone knew what was going on and also to have a way to give kudos [and] welcomes and spread other news,” she said. Even at larger companies, CEOs can build engagement through simple gestures. When Ultimate Software’s Scott Scherr goes out for lunch, for example, he often picks up the tab for every table where one of his 4,700 employees is sitting, no matter what their level or whether they’re having a business meal. In today’s world where mobility is commonplace, some of the top factors leading to a relocation are the chance to lead a new lifestyle, the desire to find better opportunities for their families, and cost of living, found the RSM Global Talent Movement Survey. According to the survey, financial incentives and weather rounded up the top five. According to gender, women were more likely to want to move abroad for better family opportunities and the lower cost of living, while men were motivated by the chance of a new lifestyle and potential for better weather. By age group, the 18-25 and 45-54 groups were most likely to want to move abroad for a new lifestyle. While those in the 25-44 group were more likely to move for better family opportunities. Lastly, those over 54 found the main draw to be financial incentives. With that said, which are the most sought after cities talented employees want to move to? The RSM Global Talent Movement Survey revealed, Sydney took the top spot, ticking many boxes including weather, lifestyle, and family opportunities. Next up was New York and Paris which also fulfilled multiple criteria in that they offer a good balance of financial incentives and lifestyle. That was followed by London thanks to the financial incentives on offer to top talent. Performance reviews, long the backbone of performance management, are shifting. They’re becoming more frequent and more flexible, and that shift is in no small part thanks to technology. But this also means that employers have a lot of options from which to choose. The key, experts say, is careful evaluation and thoughtful implementation. Performance reviews are becoming more frequent, more informal and more forward-looking, in response to both employer and employee demands. Immediate and frequent feedback often tops the list of things workers want. Many employers today are responding by providing feedback informally on an ongoing basis, and, for formal discussions, on a more frequent basis. That’s where tech comes in. And such feedback can be a huge boost for engagement and development. For line managers, instead of sitting in front of a blank white page at year-end, they now have a ton of resources available to them to make a fair and transparent evaluation, provide meaningful feedback and keep the associated workload to a minimum, Riedo said in an email. And for HR, that can mean no more chasing missing reviews; tech can track the ones you’ve received, and remind managers and employees to complete the ones you haven’t. A documented, holistic, real-time look at performance can be invaluable, and tech can provide just that. “Technology is opening people’s eyes up to the possibilities,” Bryan Tsao, vice president of product for Namely, said via email. The business world has moved to the cloud, with documents that allow real-time commenting, editing and collaboration. “As a result, we’re seeing an explosion of different approaches to goal setting and alignment, real-time feedback, gamification and predictive performance management as HR professionals explore tech’s new potential,” Tsao said. “Basically, what any good performance management tech allows you to do is create your performance management process, then prompt for data collection, store and protect that data, and communicate that data visually,” he told HR Dive via email. In the case of integrated suites of technology, that data can then be used for succession management or compensation decisions. But even with standalone products, it can be valuable to see how feedback is given and how often it’s given, allowing HR to align its goals with overall business objectives, Stevenson said. Experts say performance management technology is saving time and helping to create ongoing dialogues, all while improving employee engagement. “In our experience, technology has become a great complement to make an ongoing dialogue between manager and employee as easy as possible,” Riedo said. Parties exchange feedback in real-time and information is always accessible, making it easier to develop employees further, he said. It also means that feedback is no longer confined to the traditional top-down style because employees can receive feedback from the people they interact with the most. Namely has seen the same thing: “[W]e believe that a single system that is a source of truth for all employee data — including performance metrics — is an incredibly powerful way for HR to drive strategy,” Tsao said. Elsewhere, such systems have been a boon for other initiatives as well. Christian Health Care Center, for example, transitioned from an “antiquated paper-based performance review process to a digital-based tool over a decade ago,” according to its SVP and CHRO Bob Zierold. “Our digital tool has provided us with the ability to become much more efficient as our staff has grown to over 900 with significant diversity in position levels and responsibilities,” he said. In some ways, it’s a problem as old as time: Generational shifts arrive at work, and change must occur. But today’s challenge feels unique. For perhaps the first time ever, four different generations can be found working together today. And the millennial workforce is now the largest of the four groups, according to data from a Pew Research report. There are plenty of millennial stereotypes, like a serious attachment to the smartphones they grew up with. But those stereotypes can blind employers to what makes millennials tick and can make it difficult for even the savviest HR team to hire, retain or engage this group. It’s important to start with some basic understanding of who millennials are. The concept of BYOD is important to them, but they might not have a traditional bank account. And they don’t necessarily job hunt in the same ways previous generations have done so. Once hired, though, the millennial workforce brings a unique spin that can be helpful if companies can get them to buy in. In industries as diverse as manufacturing and sales, a millennial workforce can bring a fresh perspective and key new skills to a job. This has turned out to be especially true when it comes to cybersecurity, where a millennial’s extensive exposure to technology can apparently help in the hunt for hackers. Hiring the millennial workforce is just the first challenge. With a strong economy, job opportunities abound, and retention of millennials — and, for that matter, everyone else — is a struggle for many companies. Employee engagement is vital to keeping millennials content, but HR teams need to prepare for a different type of engagement. Millennials have a strong desire to learn and stretch themselves, which can translate to a need for increased training or job flexibility. HR tools, including analytics and even AI, can help teams keep track of employee trends, needs and interests and potentially offer new career paths and educational opportunities. 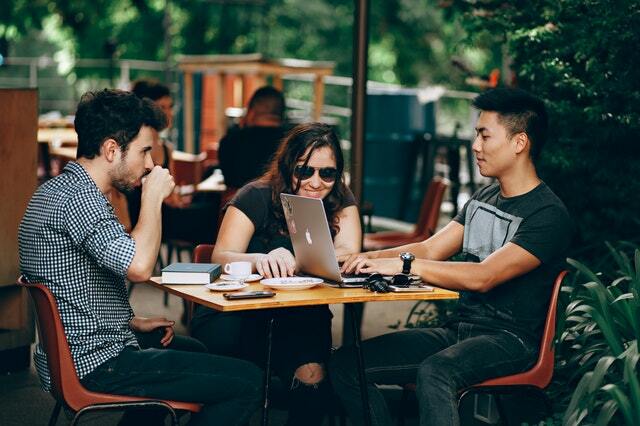 By some estimates, millennials will be 75% of the workforce by 2030, so it’s worth taking the time to understand them better. CEOs and C-suite executives often identify failure to attract and retain top talent as their No. 1 business issue. The key to success is having the right leaders leading in the right way. Aiding in this are executive talent search and assessment providers, who can profoundly impact businesses. 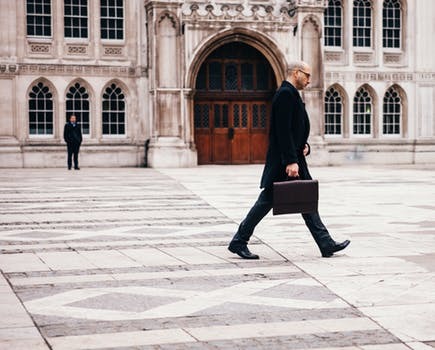 As President and CEO of AESC, the global association that represents best practices in the executive search and leadership consulting profession, I am often asked about what to look for before signing an agreement with an executive search firm. How do CEOs, boards of directors and the broader C-suite know if they are dealing with a quality and ethical executive search firm? 1. How deep is their access? Core to the value of executive search firms is their ability to interest and engage top candidates who are successful and satisfied in their current roles. Experienced executive search advisors will have access to the highest-performing leaders within an industry. These candidates are concerned about confidentiality, and trust is essential. They are not willing to risk a leak that could negatively impact their current role or the firm they lead. 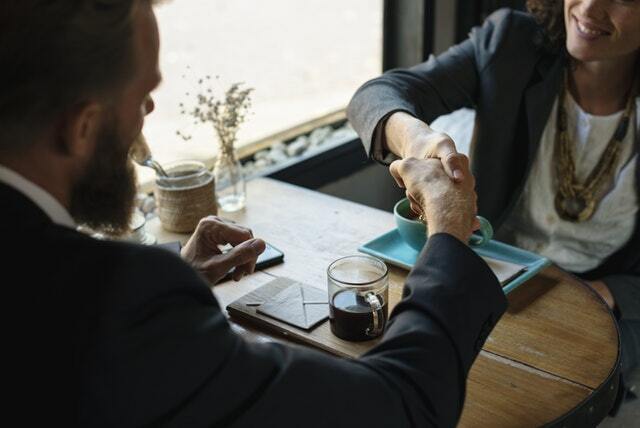 These candidates are typically more comfortable with an outside advisor who is not part of the hiring organization, providing the executive candidate a more comfortable relationship to explore a potential new opportunity on a discreet basis. 2. Will they ensure confidentiality? Trust is not only critical to the candidate, but it is also critical to the client organization. High-performing organizations cannot afford to risk either internal or external uncertainty about a CEO or highly influential executive’s standing or tenure within a company. Any perceived uncertainty can have a profound negative impact on the internal organizational culture and the external brand, and can reduce confidence among customers, shareholders and other stakeholders. An ethical search firm will ensure that a search will be held in the most confidential and discreet manner. 3. Will they be objective? Business leaders seek external counsel and strategic advice often because they are too close to the action themselves and seek other angles. A quality executive search consultant will bring depth and breadth of experience — beyond one firm, one industry, one market and even one position. This experience can be invaluable in terms of providing objectivity and bringing strategic expertise about the marketplace to the table. They understand talent availability, trends in terms of new requirements of functional leaders, the qualities required when transformation is essential and so much more. The right firm will help clients envision new possibilities and uncover pain points, with empathy and from the perspective of experience. 4. Can they help you attract the best? With a quest for innovation, there is an increased demand to attract a diverse slate of top executive candidates who can deliver fresh perspectives to the hiring organization. Quality executive search firms understand this priority and have focused on expanding their own networks beyond the “usual suspects” to identify top talent. 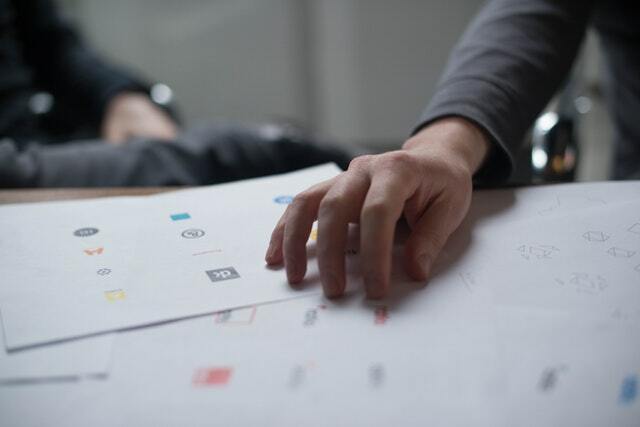 Quality advisors will be able to have direct and sometimes difficult conversations with their clients about their own employer brand and desirability as a destination for leaders. Today, high-potential, high-demand talent have many options and are highly selective. They want to be sure they are making a move to an organization where there is a strong culture fit and where they are most likely to succeed. 5. Do they have the expertise? A quality executive search consultant will have an experience-backed understanding of the market, the industry and the evolution of key functional leadership roles. These trends are critical in the search for not only the leaders of today, but those who can lead an organization through transformation for the future. With changing requirements, often it is essential to not only look for talent within an industry, but outside the industry. This is where years of experience and understanding how to assess for learning agility become critical. 6. What are their assessment capabilities? As a trusted advisor, a quality executive search consultant will take their deep knowledge of the industry, the organization and the role and assess candidates against these requirements to ensure that a candidate not only looks good on paper, but will be the right leader for the organization and its strategic focus. The unique advantage an outside trusted advisor can bring to this process are the years of experience across markets, industries and functions, combining the art and the science of assessment to this critical process — beginning with a preliminary assessment and then getting much more in depth with the finalist candidates. 7. Will they help you prepare for succession? Organizations that think beyond “today” also understand the critical need to think about the leaders for tomorrow, both internally and externally. This is the time when organizations take a hard look at the next generation of leaders and ensure that they are developing a diverse group of leaders for the future. Quality executive search firms will bring their talent assessment and marketplace expertise to this critical process to help CEOs, boards and the broader C-suite build a high-performance leadership team both for today and tomorrow. 8. Can they minimize risk? Highly qualified executive search consultants reduce the risk of making the wrong hire. The risks associated with an unsuccessful hire can be catastrophic. The selection of the right trusted advisor ensures that the entire process is a success. Many organizations usually misinterpret “employee engagement” as keeping employees happy and productive. However, they forget that it is more about building transparency and trust. Without fostering faith, it will be challenging to get employees to commit emotionally to your organization or work in a collaborative manner. Promoting “Open Door Policy” and an atmosphere of approachability or creating opportunities for leaders to interact with employees regularly. This is where the leaders need to encourage employees to be open and honest. This will encourage them to share the challenges that they are facing and the ideas and initiatives that they have in mind. Thus, enabling your company to grow and prosper as a team. When employees work like machines without any vision or a goal in mind, and are expected to continuously perform, it can lead to low productivity and engagement. Thus, communicating the organization’s vision and values with employees is a fundamental factor that can spur employee engagement. A company’s success depends on having a solid vision for the future, and when the vision is aligned with employees, it can help to create a team that is dedicated to making that vision a reality. Value labs and Goal Tree discussions are some examples of structured engagement activity that can be leveraged to promote the company’s vision and values through. To build a culture of effective employee engagement, leaders themselves need to be enthusiastic, charismatic and accessible. A leader should meet and interact with the team members often to understand their perspective and help them grow professionally. Beyond discussing work-related paraphernalia, effective leaders should also create plans to help employees nurture new skills and to take on new roles to improve current skills. Employees’ involvement in the creation of these plans ensures that they understand what is expected from them and gives them clarity about their responsibilities. They should also encourage employee engagement by introducing policies for the employees’ physical and emotional well-being. Rewards and recognition programs impact many aspects of the business from productivity to engagement to employee retention. It plays a vital role in measuring the employees’ efforts and expressing appreciation for the work done by the team. Employees love when their efforts are recognized. A happy and satisfied employee can be motivated to perform even better because of the positive feeling he holds towards the company. Rewarding hard work creates faithfulness and helps your team to feel an emotional bond with your organization. Many of organizations are using app based recognition communication, which makes the reward experience more meaningful and real time. It is crucial to give employees a platform to share their view. Using tools such as internal social media, chatbots and surveys companies can engage with employees to know their thoughts and feedback on the ongoing activities. For instance, when an employee enters the office and logs into his system a chat window can pop asking few questions like – “Morning, hope you are having a good day,” or “how does your day look like” or “are you happy?”. Besides this, conducting feedback meetings at regular intervals can be impactful. These meetings can be conducted with 80/20 listening rule, where seniors can get one on one feedback from the team members and aid them in understanding the challenges faced by the employees. Here’s a thought from Doug Conant for all the leaders to consider: “To win in the marketplace, you must first win in the workplace.” Think about this when considering how best to engage with your team and I hope the above elements will assist leaders in creating a high-performing organization. Wellness programs are increasing in popularity as companies grow more determined to curb the soaring costs of providing health insurance for employees. To encourage healthy behaviors, firms are offering everything from free yoga classes to weight-loss support groups. While there have been some positive results from these programs, smoking cessation remains a particular challenge. But a recent study by two University of Pennsylvania experts found that cash can be a powerful incentive to help smokers quit. Kevin Volpp is the director of the Center for Health Incentives and Behavioral Economics at Penn’s Leonard Davis institute as well a professor of health-care management at Wharton. Scott Halpern is a professor of medicine, epidemiology, medical ethics and health policy at the Perelman School of Medicine. He is also the founding director of the Palliative and Advanced Illness Research Center at Penn. 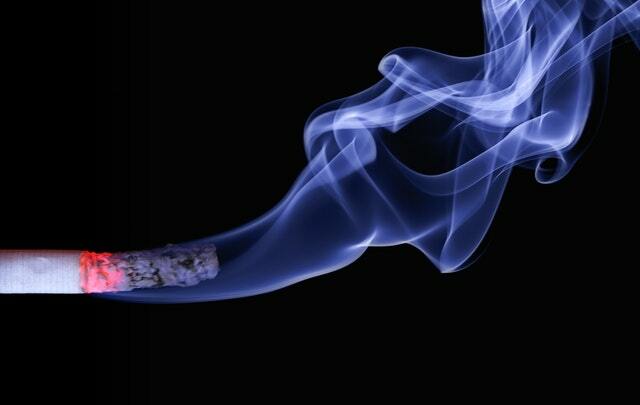 Their paper is titled, “A Pragmatic Trial of E-Cigarettes, Incentives, and Drugs for Smoking Cessation.” Volpp and Halpern recently joined the Knowledge@Wharton radio show on SiriusXM to talk about what their research means for companies looking to up the ante on smoking and other detrimental health habits. Knowledge@Wharton: Why did you want to pursue this line of research? Kevin Volpp: We had done two major previous studies: One was among employees at General Electric nationally, and the other was among CVS employees nationally. We established that financial incentives can triple smoking cessation rates compared with usual quit rates. This led to benefit-design changes among all employees at GE and CVS, and the research further highlighted some intriguing possible next steps. But one of the challenges with these types of approaches, which leverage a couple of behavioral economic concepts, is the notion of precommitment. There are times when people are much more willing to focus on their future well-being. Sometimes you can take advantage of that — like somebody joins a study and says, “I’d really like to quit smoking, so I’ll put some of my own money at risk.” The other challenge is the notion of loss aversion, which is very well established in behavioral economics. If we can shift the framing so that people lose money for not doing something, as opposed to gain money if they do something, that can be much more effective. But the challenge is that most people aren’t willing to do it. So, we only had 14% of people sign up to do that. That was one of the big challenges we were trying to solve in this new study. The other was that both the GE and the CVS studies were done among willing participants. People had to opt in. There was a very clean measurement of effectiveness among willing participants, but not in terms of effectiveness in a broader employee population. Scott Halpern: There are a variety of innovations in this particular study because all we were doing before was offering people an opportunity or a series of opportunities to improve their health. There were very few risks with this study, so we were able to use an opt-out consent mechanism. Fewer than 2% of employees at 54 different companies around the United States chose to opt out when they were contacted. That enabled us to enroll a much larger, much more broadly representative sample of smokers around the country than prior studies had been able to do. We wound up with 6,000 people who were smoking at the time of enrollment. Knowledge@Wharton: What do you attribute to the low opt-out rate? Halpern: I think part of it was the mechanisms by which they were contacted. There was a series of email notifications and some text messaging. People were made aware that these were programs that were going to be offered to them, even in the context of the trial. Among those who participated, [not] everyone had to use the intervention to which they were assigned. In fact, only about 20% of people across the five different arms of the study chose to engage with the platform that the research was conducted through and use their assigned intervention. What were those interventions? We had a usual care arm, where we just told people that there were benefits to smoking cessation. We gave them standard brochures and offered them an opportunity to sign up for a motivational text-messaging program. The other arms were all built on that. In one case, they added free nicotine replacement therapy and the two FDA-approved pharmacotherapies for smoking cessation. The next arm offered free e-cigarettes. The final two arms were where the incentives came in. Both offered bundles of incentives worth up to $600 if you maintained biochemically confirmed abstinence for up to six months. They were offered in two ways, in addition to the free nicotine replacement therapy and FDA-approved meds. One was offered as a pure carrot, and the other was offered as what we like to call a virtual stick. It was virtual in the sense that, in contrast to the CVS study, people didn’t have to put down any of their own money. We prefunded an account in their name, making them feel that the money was theirs to be lost if they didn’t achieve their smoking cessation milestones. Knowledge@Wharton: How big a role did the financial component play in people taking the next step in the process? Volpp: There’s a natural tendency most humans have to procrastinate, particularly with an activity like smoking cessation, which is very difficult to do. It’s always much easier to plan to quit next week. What these incentive-type programs sometimes do is they make more salient the future benefits to quitting, and they also give you some added inducement to try to take those difficult steps now. Knowledge@Wharton: This study involved 54 companies. What are the practical implications of this research for them and other companies that want to offer such programs? Halpern: These companies represented all 11 major sectors of the economy and were of various sizes across the spectrum. So, I think it’s potentially a very substantial impact both for what we showed did work and for what we showed didn’t work very well. As part of their wellness offerings, most companies now are offering free nicotine replacement therapies and perhaps other pharmacotherapies for their employees who smoke. We showed that doesn’t work among all employees who smoke. Again, that was the key innovation of this study by enrolling all smokers. Of course, if you’re an employer, you’re interested in getting all of your smoking employees to quit, not just those who are motivated. And it turns out if you offer free nicotine replacement therapy or free e-cigarettes, that doesn’t help. It merely adds to your cost without saving you long-term costs by getting employees to improve their health. By contrast, an early investment in incentivizing cessation actually does triple cessation rates, similar to in the prior CVS and GE studies that Kevin mentioned. But here we see that tripling effect is maintained both among all employees and in the background, where everyone is getting offered free nicotine replacement therapy. I think those are two key findings that employers can now use in redesigning their wellness offers. Knowledge@Wharton: How did you ensure that the participants quit? What was the length of time for the testing? Halpern: The testing in our study had to be fairly rigorous to meet typical scientific criteria, perhaps more rigorous than an employer would choose to implement as it rolled out the program. We required that people provide urine or blood samples to confirm chemically that they had no metabolites of nicotine from combustible cigarettes in their system at one month, three months and six months after the date at which they were supposed to quit. If you’re an employer, that’s a fairly onerous process to foist on your employees. Presumably, what most employers would choose to do is some scaled-back version of that. I think it would probably be important to have at least one biochemical confirmation, but probably three would be overkill for scalable use in a large employee population. Volpp: One of the other really interesting findings in this study is we found the cost per quitter was lower with incentives than it was with either pharmacologic therapy or e-cigarettes. The logic behind that is pretty simple. The incentives are only paid if people are successful in quitting smoking, whereas many people are put on pharmacologic therapy and do not succeed. The employer bears the full cost of that but doesn’t necessarily derive any benefit. As Scott said, one of the interesting elements here is we find that the most commonly taken approach to employee wellness in the context of smoking cessation is to offer free pharmacologic therapy, and simply offering that doesn’t actually have a lot of effect because most people don’t do anything. One of the other novel aspects to the study, which is probably part of why this was published in The New England Journal of Medicine, is that the quit rates we published are much lower than has commonly been shown. Typically, what is shown is a pharmaceutical company will do a trial of a drug. They will carefully monitor to make sure everybody in that trial does everything they’re supposed to, exactly like the protocol, and it’s a really clean test of efficacy of taking the drug as prescribed. But in reality, what many people do in real-world settings doesn’t really reflect that. What we do is look at offering these pharmacologic aids and then the effectiveness in practice. When you take out both the fact that most people don’t do anything, and then probably many people in practice don’t exactly follow the prescribed regimen, the effectiveness is much lower. Knowledge@Wharton: The offer itself is an incentive for people to volunteer rather than be forced to participate in a wellness program, correct? Volpp: Yes, I think the incentive serves a very powerful signaling device to people that this is something that your employer values enough that they’re going to offer you a financial inducement to do this. It’s up to you whether you want to do it, so you can think about this as a nudge where we’re trying to push people with moderately strong incentives. But it’s really up to the employee as to whether they want to do it. As I mentioned, the quit rates are much lower than was commonly shown in the literature. Among those who are willing participants who engage with the system, we see a maximal quit rate of about 12.5%. That’s much, much higher — roughly triple of what we see in other groups like the e-cigarette group and the pharmacologic therapy group — but it’s still far less than 100%. So, there’s tremendous proof here of promise with all of these approaches, but there’s still a lot of room for improvement. Knowledge@Wharton: What is driving the popularity of these programs right now? Do they really help companies save money on health care costs? Halpern: The data on how much extra it costs an employer to employ a smoker versus a nonsmoker are a little bit all over the map. At the very least, we’re talking about a few extra thousand dollars per year to employ a smoker versus a nonsmoker. If you can get even a small proportion of people to quit, then you’re talking about long-term cost savings of a sizeable magnitude. It suggests a fair bit of wiggle room for further innovation. We used $600 incentives in this study, and that achieved fairly sizeable but still modest results. If you’re talking about several thousand dollars a year of cost savings, there’s obviously ample room to ratchet up that $600 tag and perhaps achieve better results still. Volpp: We should have acknowledged at the outset that the study was funded by the Vitality Institute, which is a health and wellness incentive company that works with a lot of employers. In this case, we had 54 employers participating. The $600 was arrived at based on their sense of, “Here’s what we think employers would be willing to pay in terms of incentives.” As Scott says, the true economic benefit is much higher. It’s possible that as data like this comes out, those differentials between what employers are willing to offer as carrots or provide as sticks might grow further. Knowledge@Wharton: How can employee participation in retirement programs such as 401(k)s influence how companies structure wellness programs? Halpern: The two paradigms of the difficulty of stopping smoking now for future well-being is totally parallel to the feeling of making a sacrifice right now to contribute to your 401k to have that nest egg in the future. That’s why employers have an important role to play. Whether it be through the use of incentives or other nudges, like in the 401k sector, they’ve shown that just defaulting people to contribute is highly effective. They really do have a role to play in improving overall well-being among large populations of people. Knowledge@Wharton: What’s the next step in this research? Halpern: We didn’t talk much about the e-cigarettes, but it’s worth pointing out that our finding that e-cigarettes didn’t promote smoking cessation is very important in light of the ongoing dialogue about the public health pros and cons of e-cigarettes. That’s a finding that needs to be replicated because it has major public health impacts, and it probably ought to be replicated with different types of e-cigarettes. So, that’s one important next step. Another is finding that threshold at which you’re optimizing with incentives the proportion of people that you can get to quit while still maintaining those cost savings for the employer. It’s probably considerably higher than the $600 we tested in this study. Family businesses have always played an important role in the development of a nation’s economy. Currently, the global economy and business environment is undergoing changes at an exponential rate. From the introduction of disruptive technologies and Internet of Things, to the ever-changing landscape of global politics and its effect on policies that enable two countries to do business, the need to innovate and stay relevant adds additional strain on business families. Amidst this change, family owned businesses can often get caught and face challenges which are largely different from those faced by non-family owned businesses. Family owned businesses are often found juggling between the need to inculcate and honour the values and ethos of their founding fathers, as well as the need to cope with ongoing radical changes in the business environment. At the same time, it is important for families to device an approach and put together a suitable and sustainable mechanism in place that would help mitigate the risk of disintegration of family businesses and can ensure its survival for future generations. This is where succession planning comes in. One may also notice that many a time business leaders are unwilling to acknowledge the need to relinquish their position within the organisation because their personal identity is often tightly linked to the family business. In such times, the need to pass the baton to the next generation in a smooth and seamless manner cannot be emphasised enough. As a new generation joins the family business, it is important to ensure that families and businesses work in harmony, and roles and responsibilities are well-defined for each member in the family. While business owners set long-term goals, it is essential that they interact regularly with the next generation and review these goals at frequent intervals. This will serve the dual purpose of ensuring the ultimate business objective is met as well as the creation and sustenance of the family legacy. In many cases, the next generation also fails to respect the family business since they may not have been inculcated properly into the business or received adequate training which ultimately leads to its disintegration over a period of time. If one were to look at statistics at the global level, majority of family owned businesses have not survived beyond the third generation. Some of the key reasons are the absence of a proper succession plan, lack of advisors, differences in the vision between the generations, family disputes, and the lack of training that ought to be given to the incoming generation. Passing on the reins of the business to the next generation remains the foremost priority for most family owned businesses. In fact, families today are investing huge amounts of resources and time in the development and training of the next generation to ensure the survival and success of the business for years to come. Succession today encompasses two levels of succession – succession of ownership and succession in management, and it is imperative that the two are carried out hand in hand. In this regard, it is of paramount importance that the right candidate is chosen to carry forth the legacy of the family in the business. Typically, erstwhile business families have carried out succession in families through a will. However, one needs to be mindful of the fact that a will as a document is easily contestable in courts. It is for this reason that more and more families have been transitioning their wealth into Family Trusts as it is considered to be a viable succession planning vehicle. Family Trusts also assist in seamless succession, consolidated holding in perpetuity for generations to come. Unlike in the case of a will which leads to disintegration of family wealth, trusts can continue for generations to come even in the event of demise of the family patriarch. While the exercise is one that requires the entire family’s buy in, its importance cannot be underestimated in the larger scheme of things. The need to start putting together a succession plan in place cannot be emphasised enough. If not done in the nick of time, it can often prove to be catastrophic for business families. The writer is Executive Director – Trusteeship Services of Kotak Mahindra Trusteeship Services. Disclaimer: The views expressed in the article are personal and do not reflect the views of Kotak Mahindra Trusteeship Services.